While statistically Easton Wood’s 2016 didn’t quite match what he produced last season largely due to injury, his impact on the Bulldogs’ premiership-winning season is immeasurable. 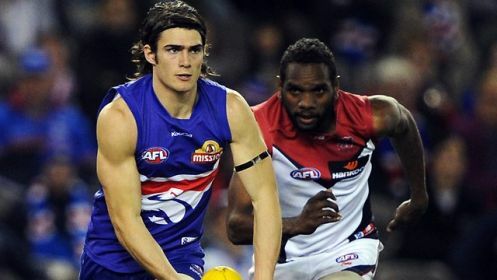 Thrust into the captaincy after Robert Murphy injured his knee in round three, the 28-year-old had large shoes to fill but led with courage and pride, and as a Bulldogs premiership captain, now has a legacy that will echo through the ages. Wood rarely makes a mistake, and his 20 disposal, 8 intercept mark performance against the Gold Coast in round 17, was the high-flying defender at his best. 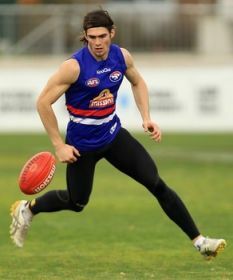 Although all you need to know about Easton Wood the footballer was on display during the final two games of the year, a titan in the biggest games in the Club’s history. Enquire about Easton Wood promotional and sponsor information below.